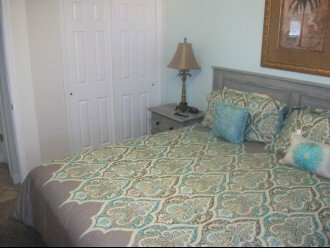 2 Bedroom Condo Rental in Indian Shores, FL - King size bed, sunshine and beach...does it get any better? King size bed, sunshine and beach...does it get any better? 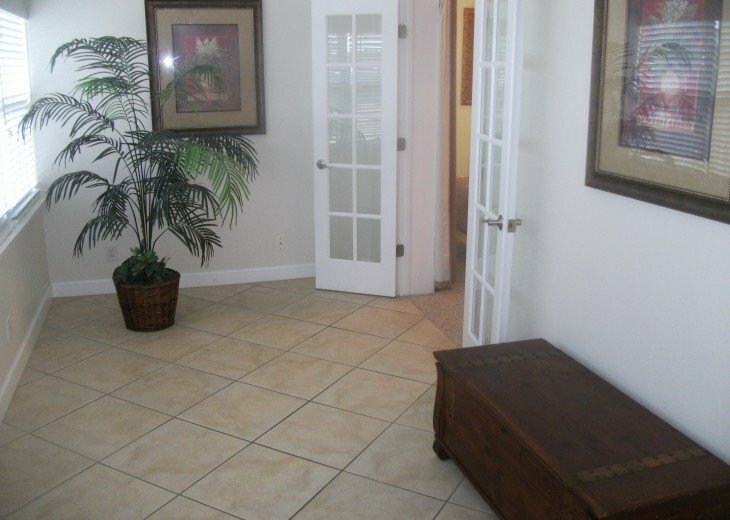 Discover this peaceful condominium that is an easy three minute walk to the relaxing beach. 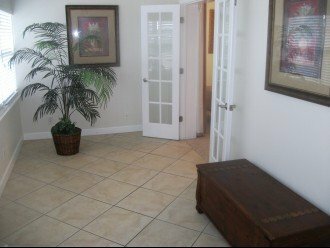 This spacious 1,000 square foot condo has a well equipped kitchen and a centrally located wet bar. 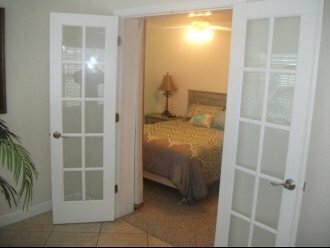 This easy to access second-level two bedroom condo has a cozy sunroom that room surrounds you with windows and is comfortably furnished. 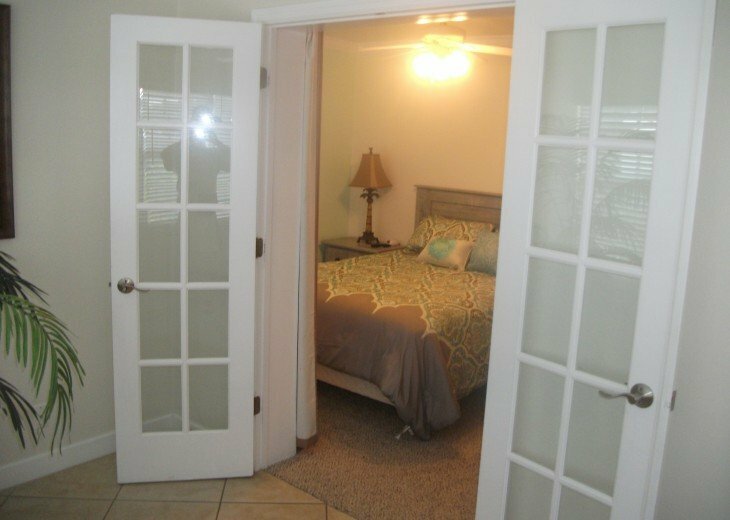 From there, classic French doors lead to an inviting bedroom. 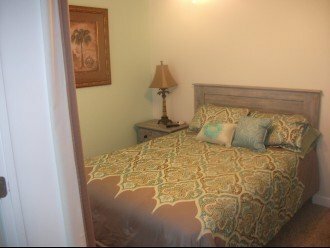 The conveniently located complex sits on five private acres infused with lush tropical landscaping. 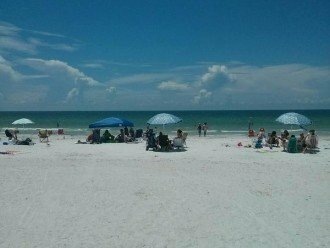 Easy to find, Barefoot Beach Resort sits between the Gulf Blvd and Intracoastal Waterway in the safe and family friendly town of Indian Shores. 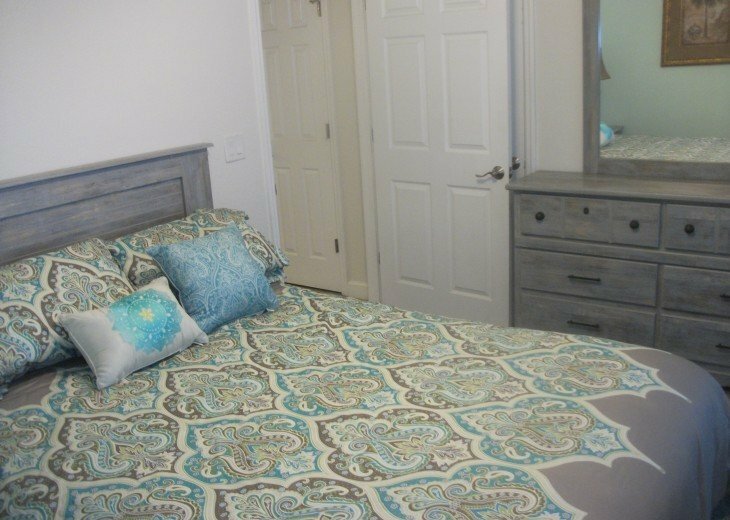 Barefoot Beach provides a private deeded beach access for the exclusive use and convenience of our guests. Tampa International Airport is a just a short thirty minute drive away, while both Disney World and Universal Studios are an easy ninety minutes by car. 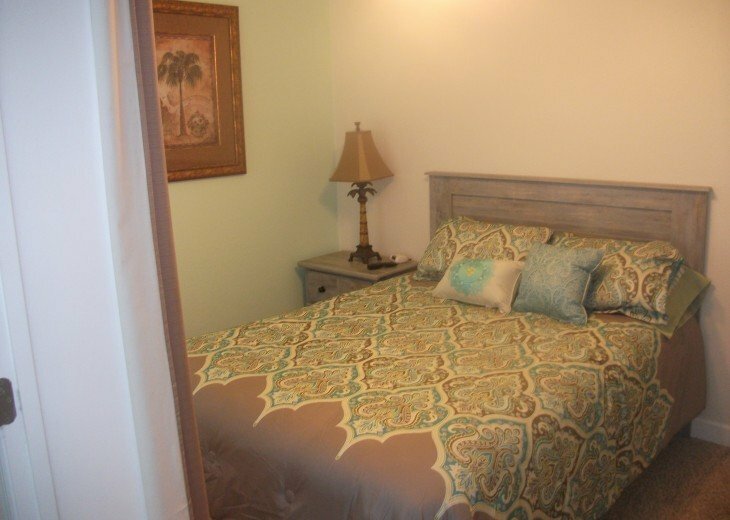 Several activities such as miniature golf, shopping, and wonderful restaurants are within easy walking distance. 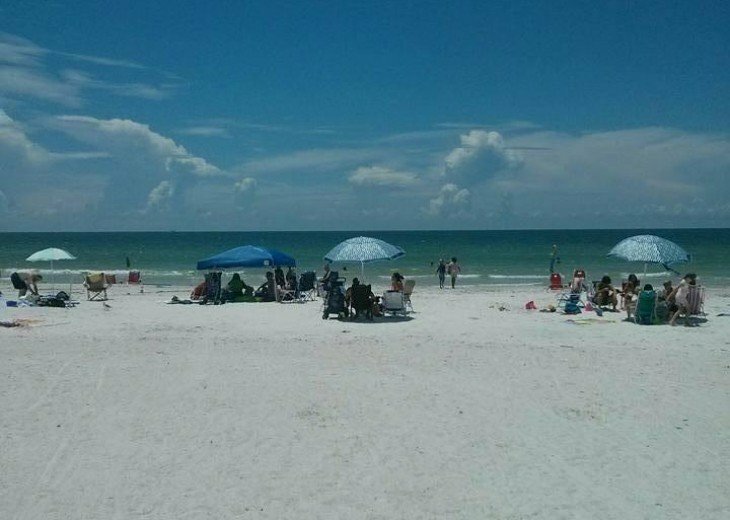 Just out front the Suncoast Trolley stops, and can take you anywhere between St Pete Beach & Clearwater. The trolleys run up and down Gulf Blvd almost continuously all day every day, at very inexpensive rates; once you've arrived there is really very little need for a car. You could watch the sunrise during breakfast on the intra-coastal side, and then end your day with a sunset walk on the beach. 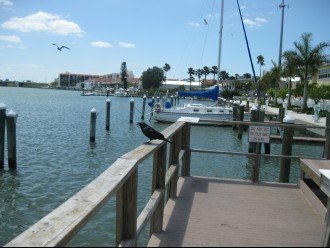 Watch the dolphins or enjoy the soothing flow of boats gliding by every few minutes through the no-wake zone a few feet from the condo. Once you have been here, you will want to return again and again! 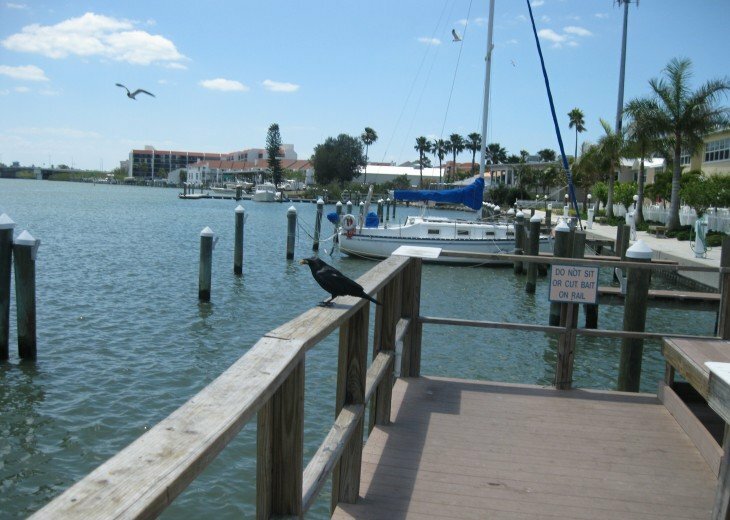 This premier waterfront condominium is one of the best Southwest Florida has to offer. Great accomodations! 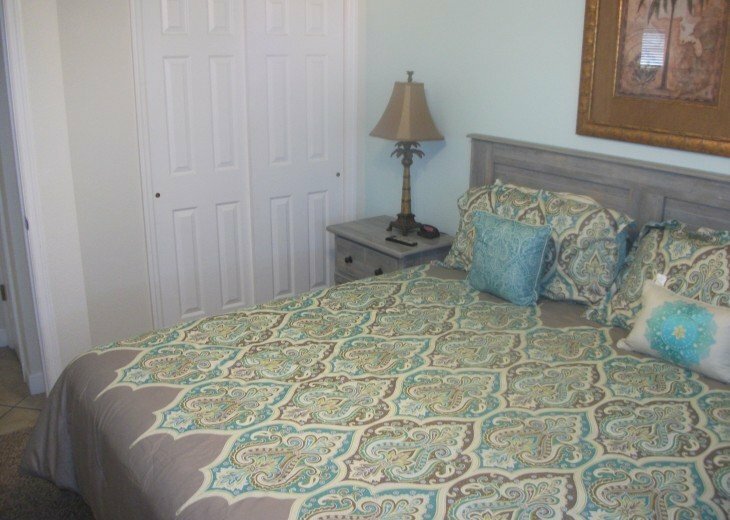 Indian Shores is the perfect vacation spot, very quiet for a relaxing holiday but within a short drive of so much. The condo we rented was clean and well maintained and there was plenty of space for the whole family. We will definitely go back. From the 3rd thru the 10th of March, my buddy and our girlfriends stayed at Barefoot Beach Resort in Indian Shores. It was our second year in a row and was nothing less than great. 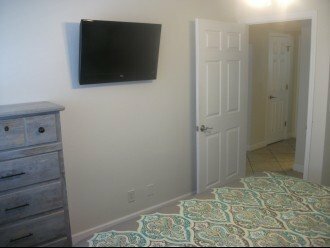 Walking distance to dining and beverage. Nice pool by the intercostal waters and walk across the street to the beach on the golf. A bus trolley to anywhere else you wanted to go for just 5 dollars for an all day pass. (2.50 for 2 of us over 64) And, of course, accommodations at the resort with staff and all was great. We asked and received. We didn't want to go home! We loved our vacation at Barefoot Beach! The condo had views from two rooms of the beach, and though it was on the highway, we rarely heard traffic. The owner had provided all we needed to make our stay a delight, down to a drying rack and blender! The place was clean and decorated nicely, and the owner was a delight to work with. Beach access was feet away from our condo, and off street parking was convenient. Though it wasn't warm enough most days to swim, we wandered down to the pool area and saw that it was a lovely addition to the complex, which was well landscaped and maintained. The only thing we missed was having an outdoor area such as a deck or patio on which we could enjoy the outdoors without leaving our condo. All in all it was a wonderful experience!